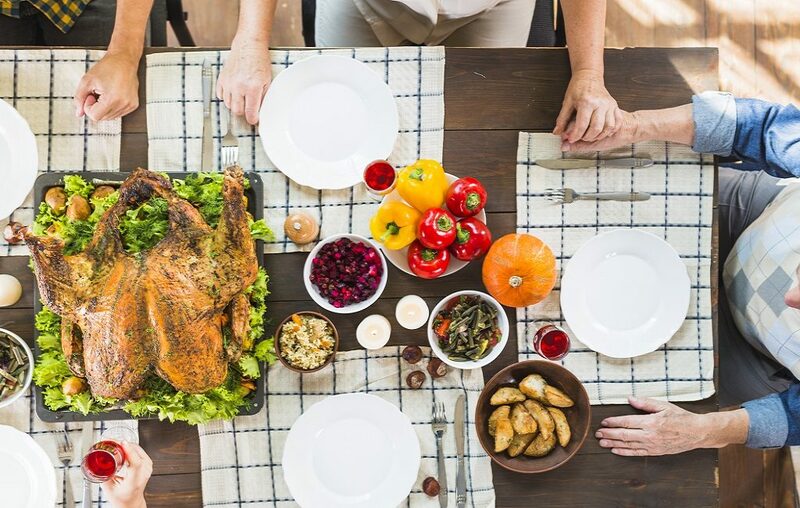 On the fourth Thursday of November in the United States, the second Monday of October in Canada, and around the same time of the year in other countries, people celebrate Thanksgiving. Regardless of the religious and cultural meanings of Thanksgiving, it is about a more profound concept; the concept of gratitude. Gratitude is a feeling of appreciation that plays a significant role in making the connections between individuals stronger which subsequently strengthens the bonds within the community making it more supportive. Gratitude literally can save you in times of need so it is important not to underestimate any little thing that you can be grateful for. Also, neuroscientists say that it boosts our happiness levels so let’s discuss some points regarding the effect of gratitude on our brains. • What Happens When Our Brains Experience Gratitude? There are two brain areas responsible for the sense of reward, moral cognition, fairness, and positive feelings; Prefrontal Cortex and Anterior Cingulate Cortex. When our brains experience gratitude, these two areas are activated. When our brains experience higher levels of gratitude, it boosts our physical activity because it activates the hypothalamus too. That is why gratitude improves body functions like eating and sleeping. Studies also show that the minds of grateful persons release more dopamine and serotonin that other people. Dopamine and serotonin are the happiness neurochemicals. It is not only about feeling gratitude at the moment. When you stimulate the neural circuits of gratitude more and more, they become stronger and more automatic. It also expands to include more brain areas. When you focus on an idea, it becomes your reality; that is a fact. Gratitude is like training your brain on focusing on what is good in the world instead of focusing on the problems. Van Gogh final words were “The sadness will last forever”. It is quite true. Our brains tend to negative thoughts more than the positive ones; that is why everyone is sharing this quote on social networks subconsciously. Happiness, gratitude, and other positive feelings require conscious efforts. Without being conscious, our brains will be drawn to negatives only. Try harder if you want to be happier and more grateful. Reinforce and reaffirm the positive thoughts by repeating them over and over. After a while, they will dominate your character. Thanksgiving is a great chance to start thinking about the things that you are grateful for. Start looking for the positives. Appreciate your family, friends, work, health, and any little thing in your life that deserve your gratitude. British poet, William Wordsworth once said: “Your mind is the garden; your thoughts are the seeds. The harvest can either be flowers or weeds.” Now, it is up to you. Thank you for reading this; I’m grateful for you.